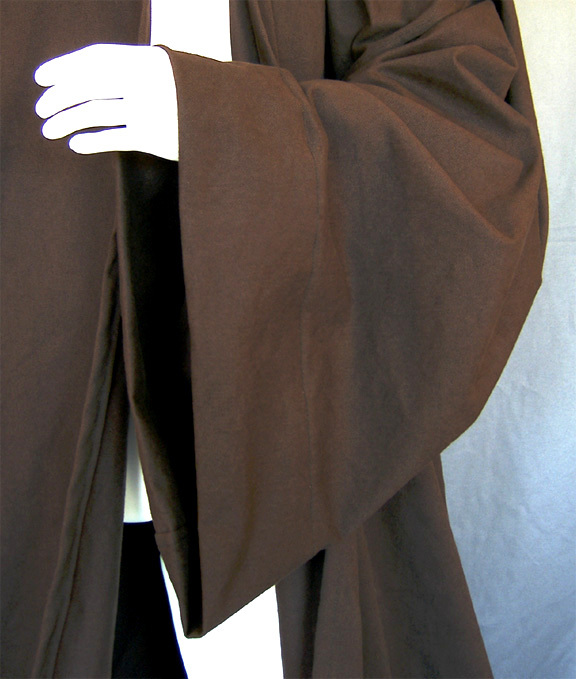 Our most popular Jedi robe, we've made more than a thousand -- one at a time -- since 2001. The Mad Seamstress developed her pattern based on observation of the films and careful notes and sketches at museum exhibits and has passed on her patterns and knowledge to The New Mystik Seamstress. 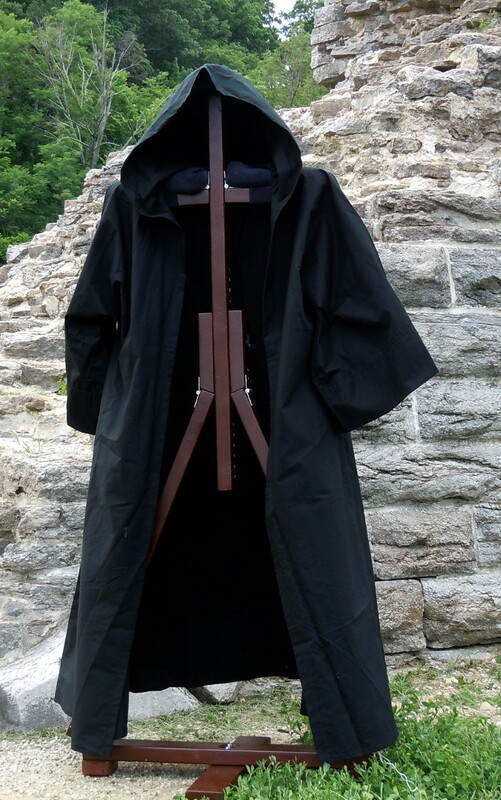 Our robes are "camera ready" and time and again been judged as "formal canon" by members of the 501st Legion. Many of our clients are members of that group and we are supremely grateful! 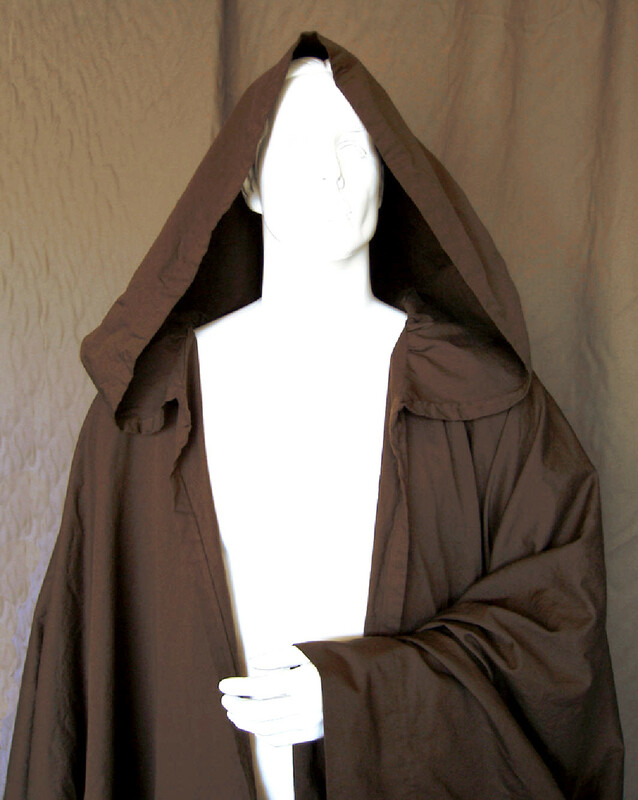 The body of the robe is a single piece without shoulder seams, as seen in the films. 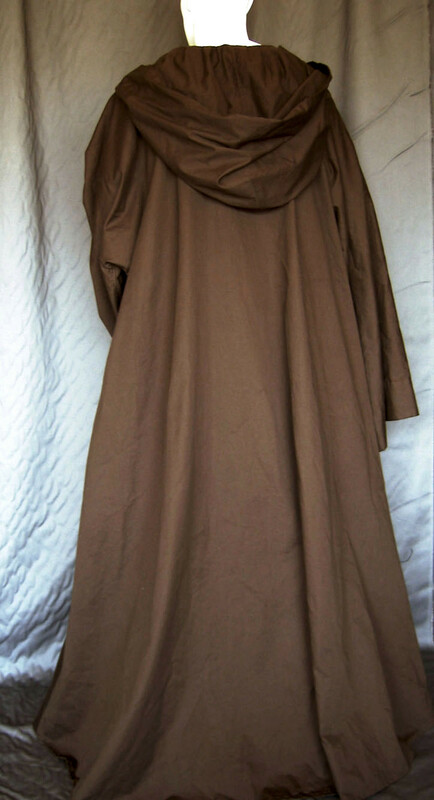 The sleeves are custom extended to any length and folded back into a deep, impressive cuff. Hems are very full giving them that amazing sweep and swing expected across the galaxy. 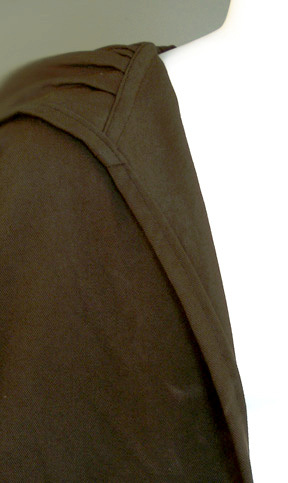 Bottom weight cotton blend twill fabric gives them great drape AND washability. The fabric has a tight weave meaning this is no thin, see-through garment. 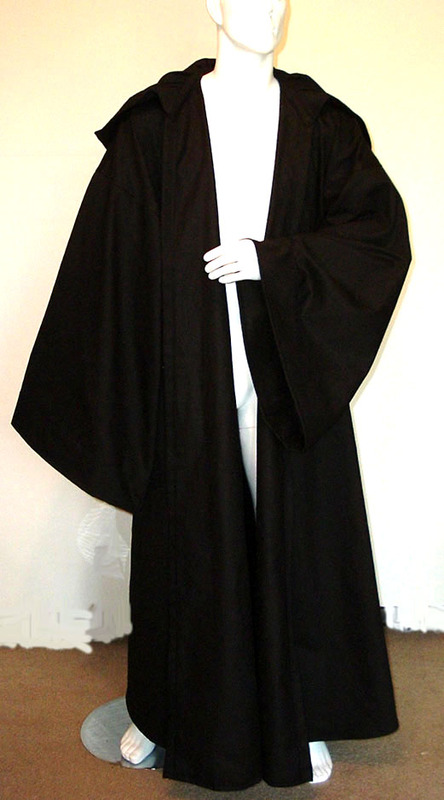 Depending on size each robe weighs between 2.75-3.5 pounds. That's 1.25-1.6 kilograms for you International types. You can choose between Black and Deep Brown. If you are interested in another color, contact us and we will try to accommodate you. Did we say size? We can fit any size adult. 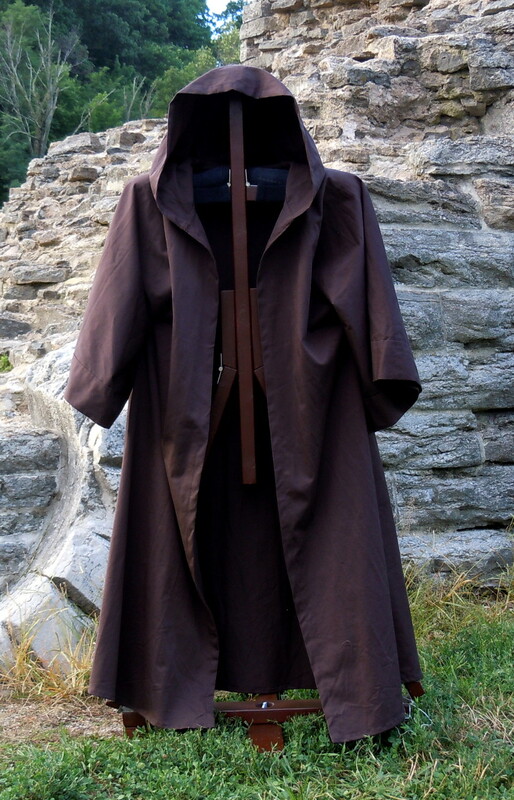 From Baggins to Groot and all heights between, XXXXXL or XXS, we will custom tailor your robe to fit you perfectly -- at no extra cost! 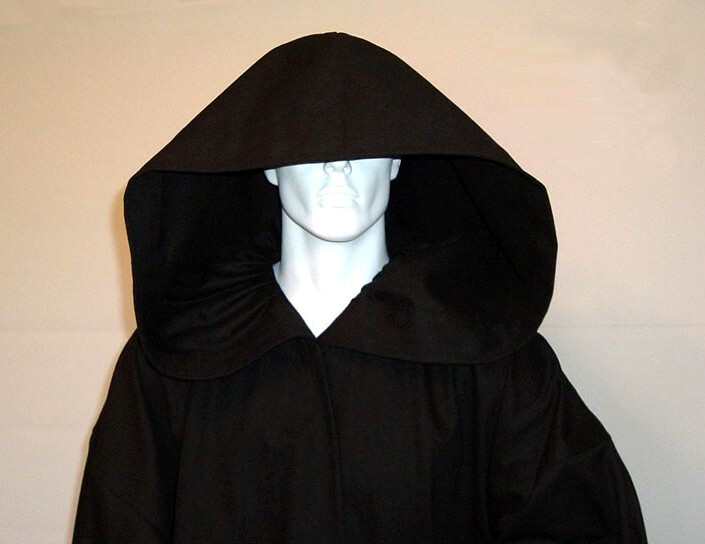 No shoulder seams, extra large hood and sleeves, and sleeve extensions that fold back into a deep cuff. Our most popular garment. Extremely full hem allows for amazing swish action. 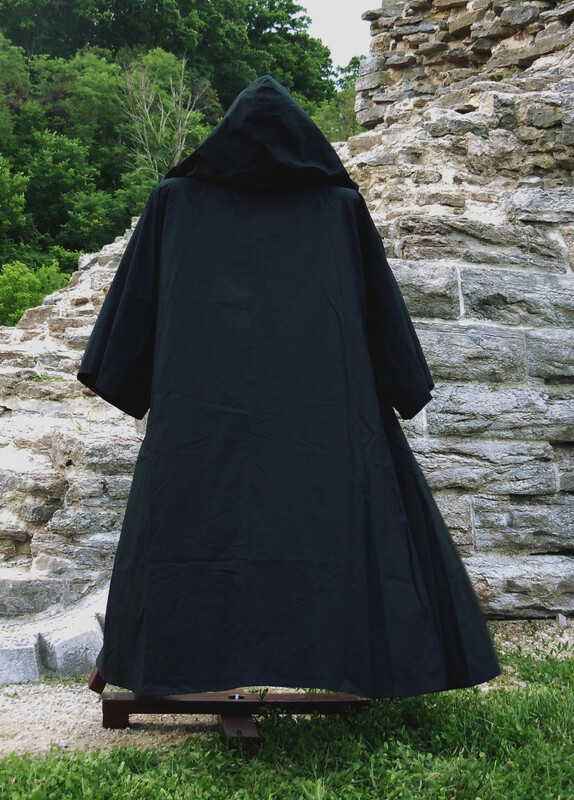 Flat fell seams make for a robe that will hold up to lots of wear and tear.